Chipmunks can be found all across North America. This particular chipmunk is probably a Uinta Chipmunk (Tamias umbrinus). 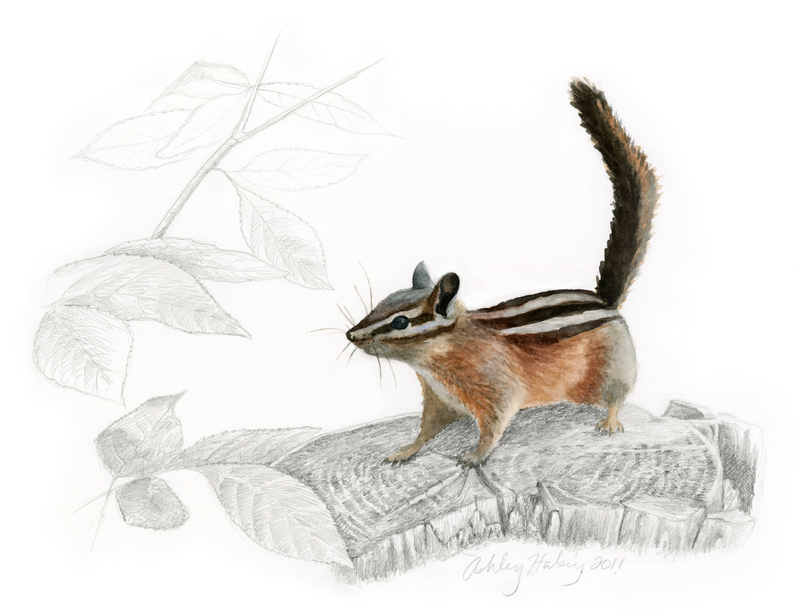 Most chipmunk species hibernate at least some of the winter, and spend the summer months collecting seeds, nuts, fruits and berries. Rather than storing fat, they periodically awake during hibernation to eat some of their stored food. Like squirrels, chipmunks play an important role in the distribution of tree seeds. By harvesting and hoarding the seeds they contribute to the growth of seedlings. They can be found running around in sheltered areas like low shrubs, stone walls and logs to stay protected from predators. This original work is available for purchase on Etsy.